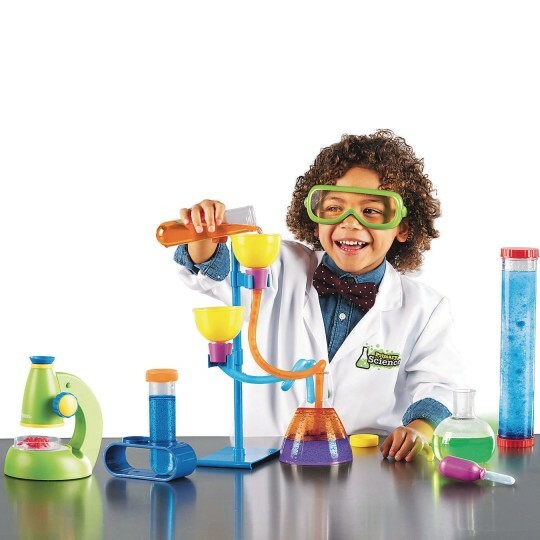 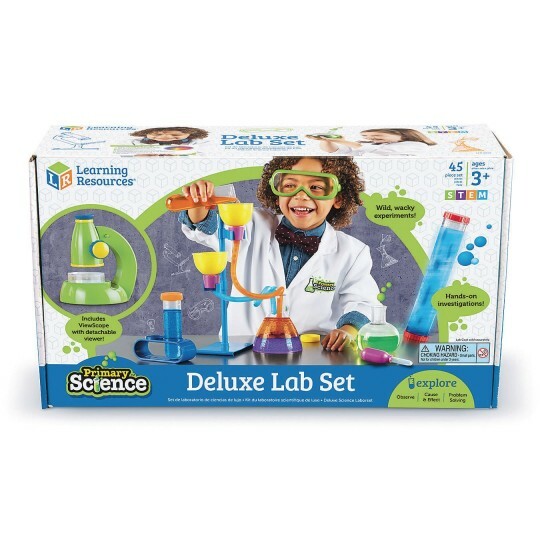 Includes pieces for real “mad science” activities. 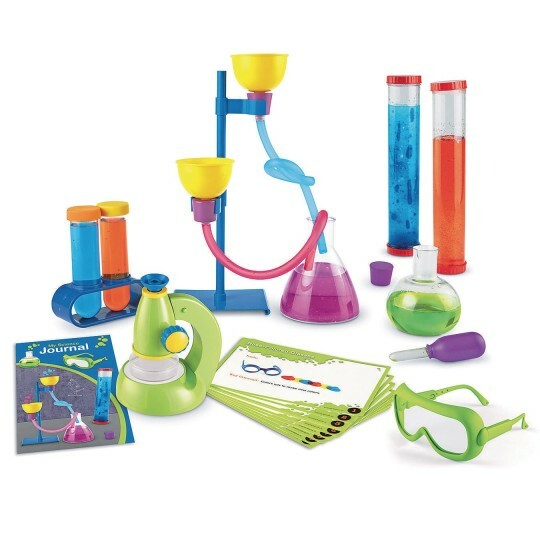 Pieces include flask, 2 test tubes, round flask, test tube dropper, beaker stand with tubes, and Primary Science Viewscope with observation dish. 20 Activity cards included.